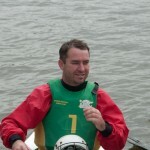 Canoe Polo is a fast driving team sport played in kayaks in swimming pools, on rivers or wherever a suitable area of water is available. It requires good paddling and ball handling skills and players may push or tip each other into the water. Competitors may sprint frantically after the ball or ram or ride up on an opponent’s boat during a tackle. There is magic when a player emerges from the water, ball in hand, to shoot at goal. The sport combines a high level of individual skill with teamwork – it is fast, energetic and challenging. 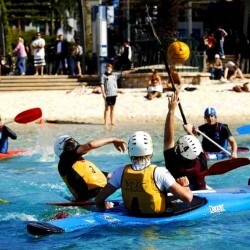 The game is played in a 35m x 23m field, teams of 5 paddlers endeavour to score goals through a goal suspended 2 metres above the water, by throwing the ball by hand, or ‘flicking’ with their paddle. Naturally, the team with the most goals scored at the end of the game wins. Although rough, this sport causes very few injuries. With the compulsory use of helmets,face masks, protective PFD’s and bumpers on kayaks, paddlers are well protected. 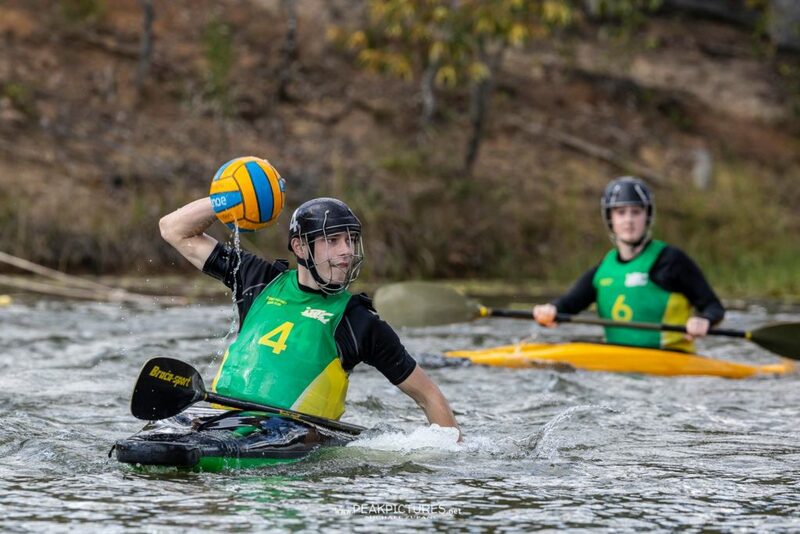 Canoe Polo is a sport for everyone. At the club level, boys and girls, men and women, compete against each other in competitions graded according to skill level. Novice players may have trouble paddling in a straight line, but still manage to play a full game. High performance players can represent their state and country in national and international competitions.